Hoover’s many Chinese collections document political, economic, and social developments during the revolution of 1911, the warlord period, the civil war, and the post-1949 period. Holdings on pre-1949 Republican China, including Nationalist government documents and Chinese Communist Party materials, are particularly robust. Also available are accounts of non-Chinese public servants, military officers, engineers, journalists, and scholars who shaped or witnessed developments in China. Most of the items described in these guides are now available at the East Asia Library at Stanford University or Stanford Auxiliary Libraries (SAL 1 &amp; 2). 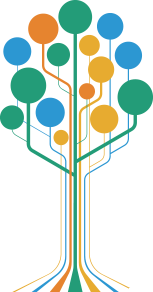 Please check Stanford's online libraries catalog for exact locations. Berton, Peter, and Eugene Wu. Contemporary China: a Research Guide. Stanford, Calif.: Hoover Institution on War, Revolution, and Peace, 1967. Chan, Ming K. Historiography of the Chinese Labor Movements, 1895–1949: A Critical Survey and Bibliography of Selected Chinese Source Materials at the Hoover Institution. Stanford, Calif.: Hoover Institution Press, 1981. I-mu. Unofficial Documents of the Democracy Movement in Communist China, 1978–1981: Chung-kuo Min Chu Yun Tung Tzu Liao: A Checklist of Chinese Materials in the Hoover Institution on War, Revolution and Peace. Stanford, Calif.: East Asian Collection, Hoover Institution, 1986. Israel, John. The Chinese Student Movement, 1927–1937: A Bibliographical Essay Based on the Resources of the Hoover Institution. Stanford, Calif.: Hoover Institution on War, Revolution, and Peace, Stanford University, 1959. Kiyohara, Michiko. China Watching by the Japanese: Reports and Investigations from the First Sino-Japanese War to the Unification of China Under the Communist Party: A Checklist of Holdings In the East Asian Collection, Hoover Institution. Stanford, Calif.: Hoover Institution Press, Stanford University, 1987. Mote, Frederick W. Japanese-sponsored Governments in China, 1937–1945: An Annotated Bibliography Compiled from Materials in the Chinese Collection of the Hoover Library. Stanford, Calif.: Stanford University Press, 1954. Widor, Claude. The Samizdat Press in China's Provinces, 1979–1981: An Annotated Guide. Stanford, Calif.: Hoover Institution Press, Stanford University, 1987. Wu, Eugene. Lea​ders of Twentieth-century China: An Annotated Bibliography of Selected Chinese Biographical Works in the Hoover Library. Stanford, Calif.: Stanford University Press, 1956. Wu, Tien-wei. The Kiangsi Soviet Republic, 1931–1934: A Selected and Annotated Bibliography of the Chen Cheng Collection. Cambridge, Mass. : Harvard-Yenching Library, Harvard University, 1981. Xue, Jundu. The Chinese Communist Movement, 1921–1937: An Annotated Bibliography of Selected Materials in the Chinese Collection of the Hoover Institution on War, Revolution and Peace. Palo Alto: Hoover Institution on War, Revolution, and Peace, Stanford University, 1960. The second annual Hoover Institution workshop on modern China was held during August 4-5, 2014. Organized by archives staff, the workshop featured eight scholars from Europe, East Asia, and the United States who have done research in Hoover’s collections. The Hoover Institution Library and Archives have recently acquired more than two hundred pieces of historical materials relating to the Chinese Cultural Revolution, a sociopolitical movement that took place in the People's Republic of China from 1966 through 1976. Set into motion by Mao Zedong, then chairman of the Chinese Communist Party, its goal was to enforce socialism by removing capitalist, traditional, and cultural elements from Chinese society and to impose Maoist orthodoxy within the party. This increment, which augments an earlier collection of Hoover’s Chinese Communist Party records contains nearly two hundred issues of the Red Guard “little newspapers” between 1967 and 1971 and other communist pamphlets, internal party documents, booklets, serial issues, and published speeches of communist leaders during this period. The Hoover Institution Library and Archives are pleased to announce the opening of the Communist Chinese Political Movement Collection. Former state councilor of the People’s Republic of China (PRC) Dai Bingguo, accompanied by his wife, Madame Huang Hao, visited the Hoover Institution Library and Archives on January 17, 2014. The delegation was led by Cui Tiankai (PRC ambassador to the United States) and Yuan Nansheng (San Francisco PRC consul general). Hoover Institution Library and Archives’ first summer workshop on modern China was held between August 5 and 15, 2013, at which time nine scholars from North America and Europe explored our archival collections and shared their research with the Hoover/Stanford community. The Association of College and Research Libraries’ Rare Books and Manuscripts Section has selected the Hoover Institution Library and Archives' exhibition catalog, A Century of Change: China 1911-2011, as the 2013 winner of the Katharine Kyes Leab and Daniel J. Leab American Book Prices Current Exhibition Award. "China's Wartime History and Contemporary East Asia"
This exhibit commemorated the hundredth anniversary of, and century since, the Chinese revolution of 1911. 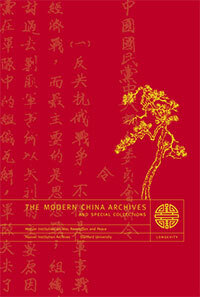 "The Modern China Archives and Special Collections"